If you've eschewed gel manicures to avoid soak-off time and potential nail damage, CND's newest 14-day UV polish formula is aimed directly at you. When soak-off gel manicures hit the market – OPI Axxium Gel debuted around 2009 and CND Shellac launched the year after – they quickly became the most popular types of manicures in many, many salons. (They made news, too!) They eliminated the crucial post-manicure dry time, and the durability of the finish was Angels-Singing-Hallelujah in relation to regular polish. They also contributed to the explosion of nail art – all that intricate work could now last chip-free on nails for weeks instead of a measly few days (or hours if you were prone to smearing wet polish). 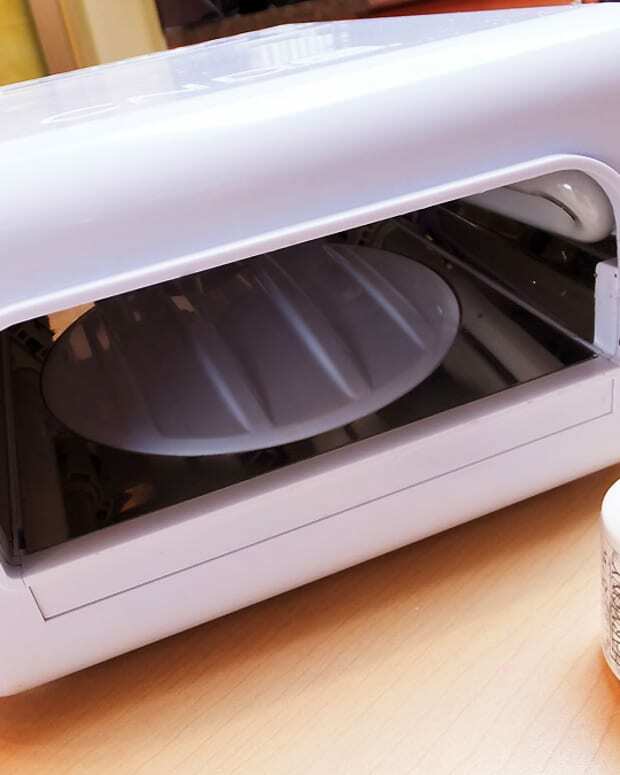 In short order, at salons skilled at the medium (*waves at Tips Nail Bar*), soak-off UV gel manicures made up 60 to 70, even 80 percent of the business, and Shellac, thanks to its brilliant marketing strategy, became the Kleenex of nail services. "When we launched Shellac back in 2010, I sincerely thought every woman on the planet would adopt [it]," charismatic and charming CND co-founder and style director Jan Arnold told a room full of media at a recent event in Toronto. "Yet what we&apos;ve found today is that 31% of women who go to a salon have yet to adopt gel polish, and 12% of women who go to the salon only do it on special occasions. So we investigated that – what&apos;s the barrier entry for that 31%?" "I mean, Shellac takes less than 10 minutes, but today on the market there are 93 fast followers, knockoffs of Shellac," said Jan. As well, she noted that at many salons, "Shellac" simply refers to the service, not the actual product, so in many cases, women are experiencing a longer removal time because what has to come off their nails isn&apos;t Shellac. 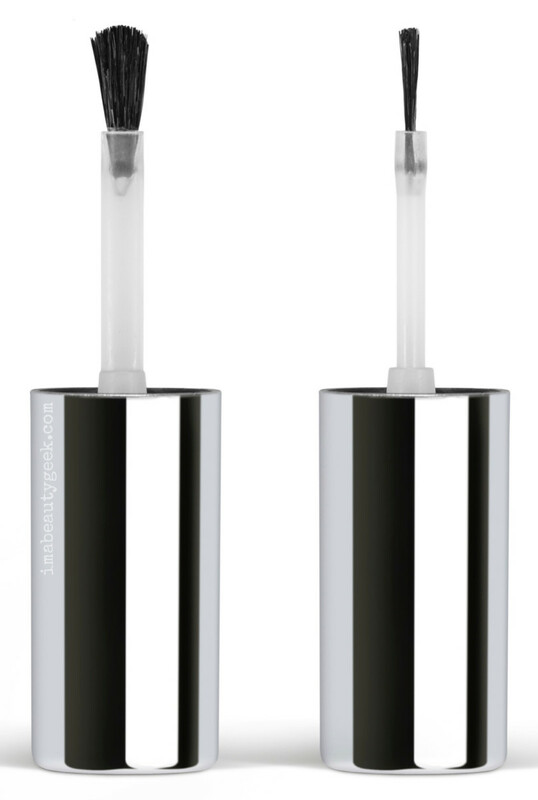 Part of reducing the salon service time is that Shellac Luxe is a two-step system, colour + top coat. Nope, no base – "the colour coat is self-adhering," explained Jan. "It&apos;s very much like putting a cashmere cushion on your nail to protect it. When you think about your nails, you&apos;re in and out of water, you&apos;re in and out of heat and air conditioning, so your nail plate expands and contracts. 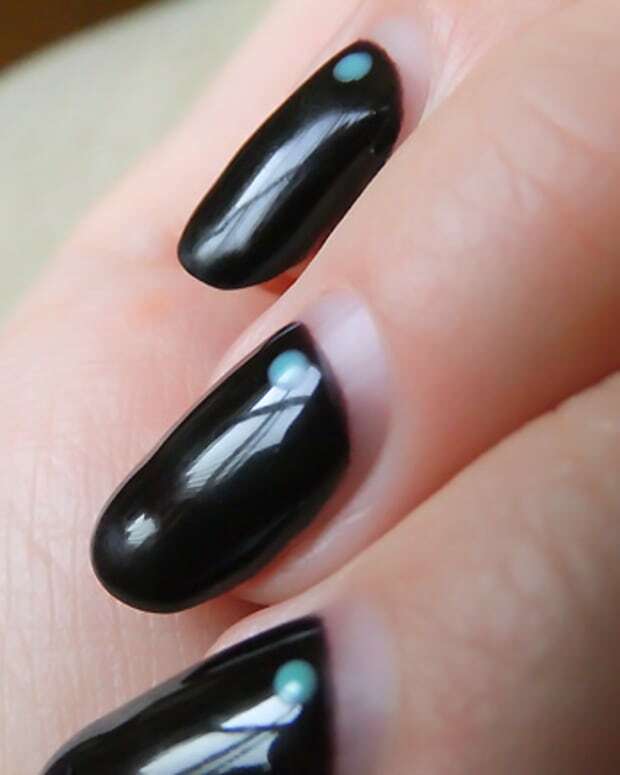 So we wanted to create a colour coat that would give and move and flex with the nail plate." After shaping the nails, the manicurist dehydrates them temporarily by wiping them thoroughly with something called Scrubfresh. After that, she applies a thin coat of colour and cures it for one minute under an LED UV light. With that UV exposure, "the self-adhering polymers wrap tightly to the keratin and it will hold tight for 14 days," said Jan. A second coat of colour follows, then the CND Shellac Luxe Top Coat and you&apos;re done, hopefully for at least 14 days. Wear still depends on application technique, your chemistry and how you use your hands. It might also depend on the top coat – you can choose Shellac Duraforce if you need strength, or Shellac Xpress Top coat if you prefer. To get the removal down to a scant 60 seconds, CND chemists increased the spacing in the cross-linked structure of the formula to allow acetone to get in and loosen the top coat and colour. Any remaining residue can be pushed off the nail with with an orange stick or nail brush. You want to watch the following video to see how crazy easy it is! If you&apos;re a Shellac gel polish fan, would you switch to the new Luxe version? 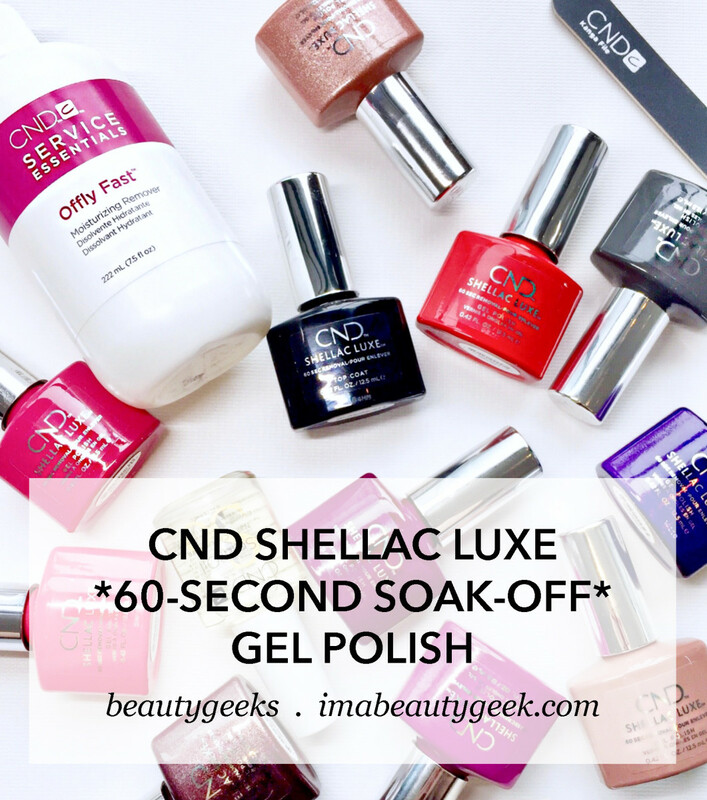 Well, maybe you won&apos;t, but you&apos;re sure going to want to try Shellac Luxe just to experience that nifty 60-second soak off. 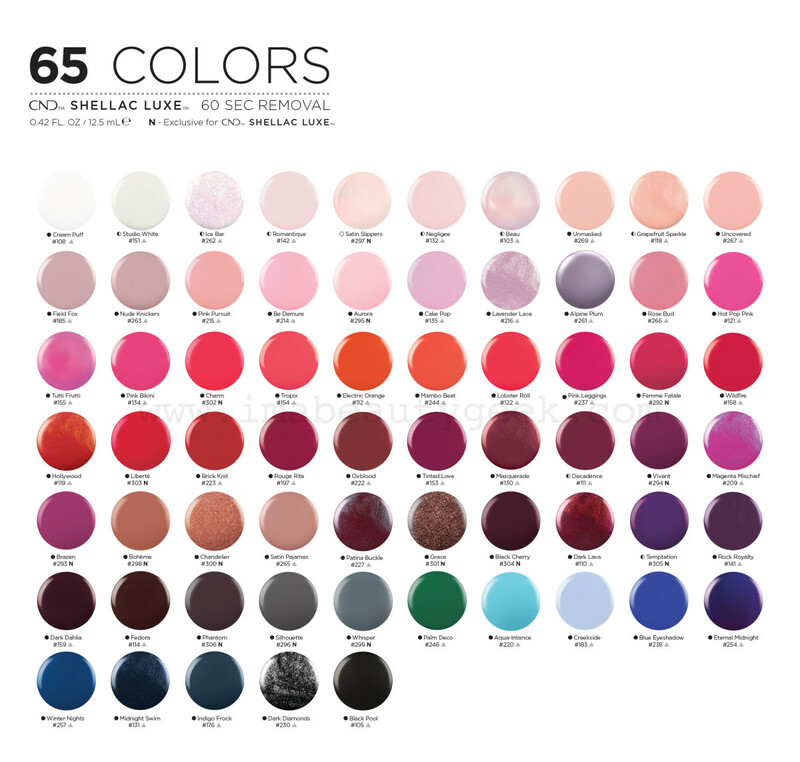 And here you go, two shade charts for the new CND Shellac Luxe lineup. 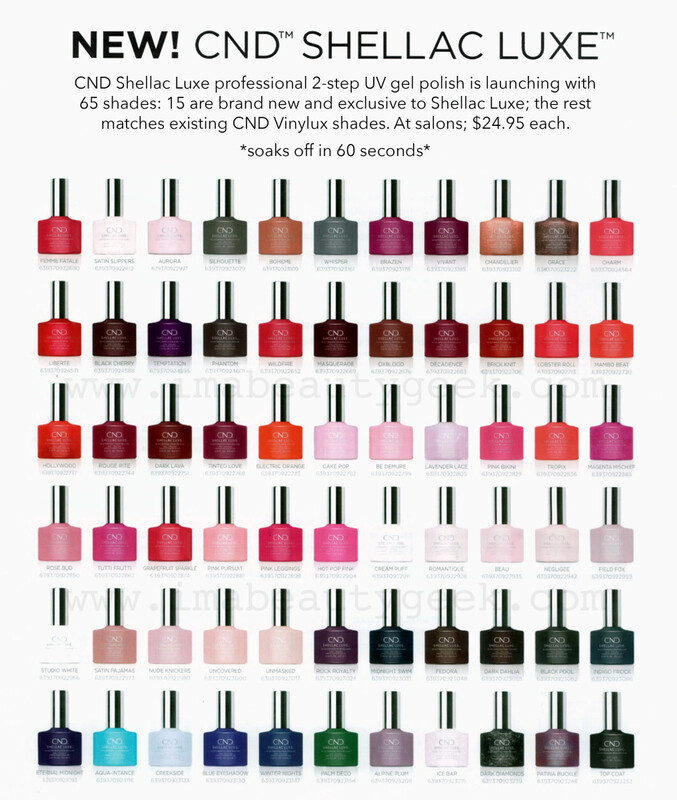 You&apos;ll find more info at cndshellacluxe.com; expect it to roll out into salons this Fall. What do you think, lovelies? Are you one of the 31% of women who has avoided UV gel manicures thus far? If you are, does Shellac Luxe appeal? And if you&apos;re already a soak-off-gel fan, do you think you&apos;ll try this? Beauty PSA: Why Doesn't Your Salon Offer Soak-Off Gel Pedicures?